Darfur - It’s Not Easier to Understand the Issue in Dar-Fur! The misery is clear in Darfur. So, why the issue of Dar-Fur has been exploited under the jug? Unfortunately, the world does not understand the nature of the problems in the Sudanese region. That is because the media always plays a role to perplex the audience. They want the news, so they get to the wrong resources sometimes. When it happens that the a given media get the right resources, the media may also plan to invest in the issue. 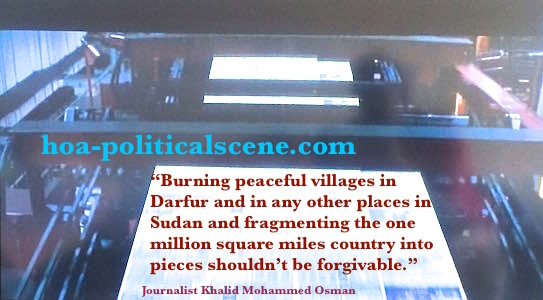 hoa-politicalscene.com - Darfur: Burning peaceful villages in Dar-fur and in any other places in Sudan and fragmenting the one million square miles country into pieces shouldn’t be forgivable. Many people in the world follow the news about Darfur genocide broadcasted, or published by the international political media. Among them are students preparing educational papers for their political studies, human rights organisations and political powers. 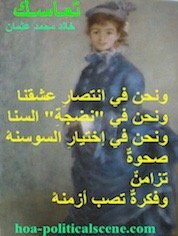 They all got mislead by the international news coverage of the issue in the Sudanese region of Dar-Fur. Some people describe it as an issue of black Arabs in the region being discriminated racially and even religiously by saying that they are not belonging to the right religion. Such statement goes further to say that the Sudanese government sent armies of Janjaweed to wage religious wars in the region. But, they also robbed the villages, rapped women and burned the villages. Some resources accuse the Coca-Cola company of monetizing the genocide because the Sudanese junta sells them the richest can of coke, which has the richest calories, and protein in the world to use the money for arming the militias. 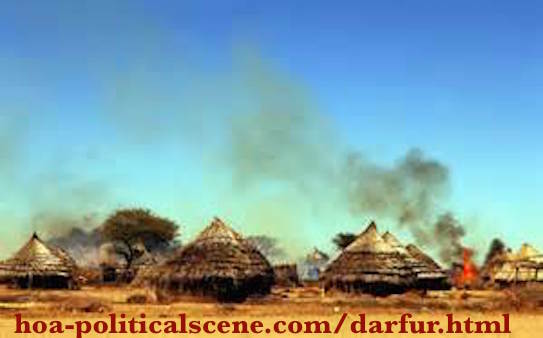 hoa-politicalscene.com - Darfur: The Policy of Fragmentation in Sudan Shouldn’t Be Forgivable. So, who is really responsible of the crisis there? Is it one of the militias, or the leaders of the Darfur rebels? Is it one of the Sudanese dictatorial regimes? Is it one of the previously called democratic governments of the Sudanese sectarian parties? Is it one of the neighbouring countries, or the countries in the area, such as Chad, Djibouti, DRC, Eritrea, Ethiopia, Kenya, Somalia and Uganda? Don't ask Khartoum. Ask the Horn of the Africa's Network. People could ask many questions like these without getting an answer. And absolutely, if they follow the international political news, then they will be lost. So, what do we need to understand the problem correctly? We need to follow the political development in Sudan at least in the four last decades. What happens here is that, people do not think of the cause of the crisis when they see the crisis live in the pictures some televisions broadcast. That is quite normal. However, facts seem sometimes difficult to be taken into consideration without further investigation. For example, one of the facts that the media talks about is that Darfur crisis is made by the North. Darfur crises are not made by the North! That is because the north of Sudan itself is living in a dilemma since 1956. So, why the media reports wrong about Darfur? We Should Look at the Dilemma in Darfur from within the Dilemma of Other Regions! Concerned international humanitarian and political bodies don’t understand the problem correctly and therefore they exploit it differently for some economical and ﻿political﻿ interests. When mixed, we call it the business of politics. While this could be right and understandable, the surprise may be that the conspiring policies of the Sudanese military religious regime are planned to perplex the world and make it complete unaware of the nature of the crises in Darfur and elsewhere in Sudan. The conspiring policies are formed from simple plans I call satanic plans of the Muslim Brothers of Sudan to fragment into pieces and gather the pieces the way they want. They do this periodically, through which I call the policy of burning the political stages. 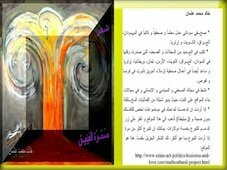 Burning the political periods, or the political phases as a factor of such satanic policy is always well done by the Sudanese Muslim Brothers since the forties of the last century, when they were first inspired by the Egyptian Muslim Brothers and formed their political umbrella in Sudan. They followed their strategic plan of burning the political stages by choosing the first name as Muslim Brothers in the first decade of their operation with some sort of flexibility. In the second decade they changed the name to the Islamic Convention Front and at that period, some hard voices started to control. In the third decade, they changed the name to the National Islamic Front (NIF) and made some changes in their polices to a sort of extremism. In the fourth decade, they moved their allies in the army to bring the recent government by a coup into power. Then they organized Jeddah conferences connecting with th terror group in Afghanistan. In the fifth decade, they planned the fragmentation of the party into the National Congress Party in government and the People's Conference Party in the opposition. There is no big difference between them as they both advocates Islamic state and they are both working strategically to swap themselves in the future of Sudan. Regarding Darfur, they carried the same fragmenting and gathering policy on the national scene of the country by continuing the fragmentation plan of the governing Sudanese Sectarian Parties during two periods after the independence of the country from Britain. The sectarian parties have already carried the policy of fragmentation they inherited from the colonial power. 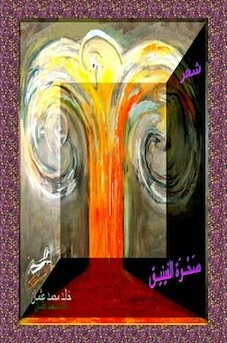 That means, all of them have not looked deep at the policies they inherited to study the national theme of the country and be creative to create out of it the required solution based on the unity in diversity and then work make a constitution to implement the policy of unity in diversity. They have not done this because neither of the sectarian parties nor the clear Islamic party have thought out of their sectarian and Islamic scope. In fact, the sectarian parties have the same Islamic orientation, which is absolutely false, as Islam is used in politics severely to serve the feudal and sectarian benefits of merchants and capitalists the British colonial power has left in the political power. Another fact is that the sectarian parties with the same false Islamic orientation have prepared the Sudanese political scene for the clear and fundamental Islamic party to come through its coup in 1989. Since that date the party has played the policy of fragmenting and gathering by dividing itself into two parties, one in the political power and the second in the opposition to work from within the entire Sudanese opposition, which is basically made of sectarian parties. In Darfur, they build alliances of militias and some other political alliances to work from within the Fur opposition groups and the Darfur rebels groups. Unfortunately, neither the political power in the West, nor the international humanitarian organization understand the problems in Darfur properly. People should know more than the pictures they see broadcasted on many TV channels, because what happens is not one of the pleasant ACTION TV SHOWS. These pictures are also similar to so many pictures from other countries in our misfortunate continent. The issue is a result of military dictatorship. Read more at the relevant linked pages. It is also a result of civil dictatorship read more at the referenced pages about it. It is first a social case and then comes to be political that has been exploited and biased wrong. DAR-FUR is and will remain integrated as a Sudanese province. Darfur Crisis is Social Crisis. Did You Know the Root Causes of the Conflict in Darfur. The Business of Politics Comments. 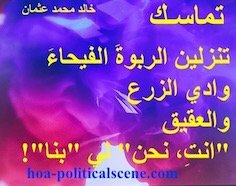 In addition to the English pages, you may be interested in the Arabic pages about such political issues on the HOA Political Scene Blog. 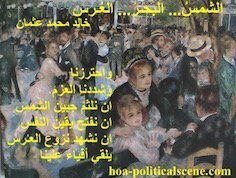 Read the through the Arabic HOA Political Scene Blog. Use the following comment form to comment, or to write about what you know about Darfur. Comments on DARFUR, or new articles about it appear on the section of the page below the comment form. Share the page with your social media, or pin the pictures, or read the updates of the HOA Political Scene at you favourite service.